If you are suffering from a traumatic brain injury after a St. Louis car accident, you may be finding it hard to get enough sleep. Traumatic Brain Injuries, or TBIs are common in car accidents. One of the best ways to get over a car accident, both for your physical injuries and the emotional trauma that comes with any bad car crash, is to get plenty of sleep. Our bodies and minds work well at healing themselves during sleep. However, if you’ve suffered a traumatic brain injury, you might actually find it very hard to get enough sleep. This can happen because the area of brain that regulates our sleeping patterns has been damaged. It’s a very common scenario, with around half of the people with traumatic brain injuries having issues with sleep. Your brain needs sleep to recover, but you can’t sleep. It can be a really tough situation to be in. There are various ways in which a traumatic brain injury can affect your sleep. Here are some of the most common that our St Louis car wreck lawyer has come across. This a very serious condition that can last for the rest of a person’s life. This condition means that you will feel an overwhelming desire to sleep several times a day. These feelings will come on fast, with no warning, making it very dangerous if you are driving or operating heavy machinery. It can result in your being totally unable to work at all meaning you really need to seek compensation. This is another potentially serious condition. Sleep apnea is when you stop breathing while you sleep. It can give you feelings of suffocation and you may wake up choking. This can happen many times in a single night. Additionally it can also make you snore loudly, which can be disturbing to your family. A traumatic brain injury can leave you simply unable to get to sleep. This can then leave you feeling tired all day, but no matter how tired you feel, sometimes sleep can seem like an impossibility. Sometimes medication can help, so it’s important to seek medical advice as well as legal advice if you are suffering from insomnia following a car crash. 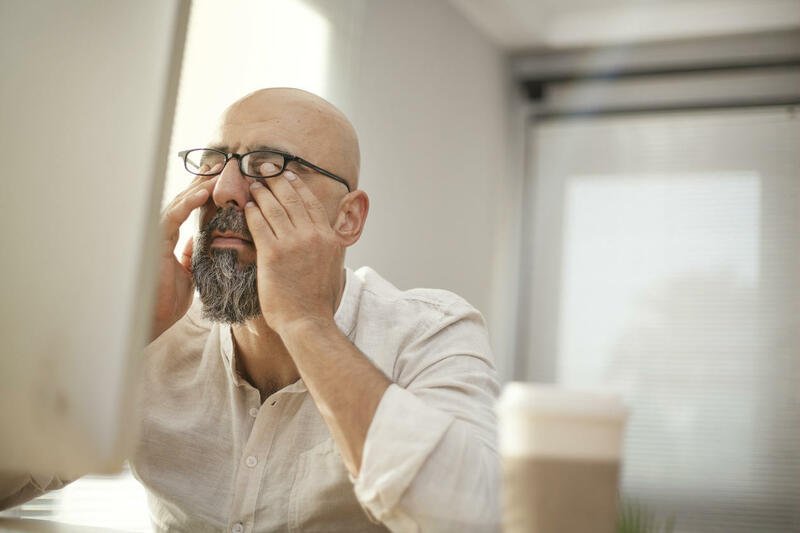 This condition means that you essentially never feel like you’ve had enough sleep. Even if you have slept for many hours, you wake up feeling groggy, as if you have hardly slept at all. You may struggle to get through the day, feeling constantly exhausted. In some cases recovery happens eventually, given time, but for some people, the effects are permanent. If you have suffered a traumatic brain injury, it’s important to speak with a trusted attorney about claiming compensation. This could give you the peace of mind you need if you need to take time off work or need help paying for your medical expenses as a result of the car accident. Call The Hoffmann Law Firm, L.L.C. 24/7 at (314) 361-4242.